Show two or more parts of a document for simultaneous editing, or edit one part while consulting another part. 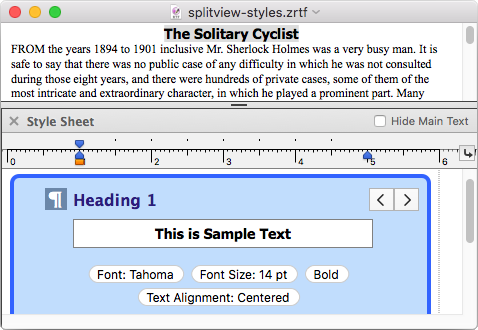 Use any number of splits, for any type of view (eg: Draft View or Page View), orientated horizontally or vertically. Split view settings and other view settings are always saved in your file, so you come back to working on your document just as you left it. 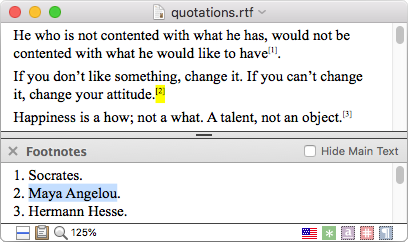 Split view can show you the main document text in one split, while the other split shows your footnotes and endnotes. Synchronized scrolling keeps related content in view. For example, if you move to edit a different main paragraph, the notes split can be scrolled automatically to show you footnotes in that paragraph. 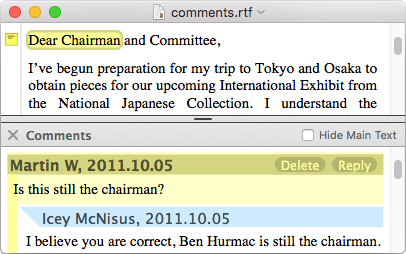 As with footnotes and endnotes, split view can also show you comments alongside your main document text. Synchronized scrolling helps keep related text in view. Comments in split view work great for note-taking or pre-writing purposes. Place background materials or personal notes inside comments attached to your main document text, and quickly toggle whether comments are displayed or hidden. Customizing your document styles is even more immediate when you use split view with our easy-to-use style sheets. You can show your text in one split while you edit your style definitions in another split, instantaneously revealing what affect your changes have on your document. 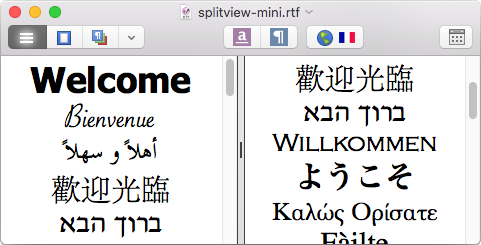 Read more in our user guide's help topic about Split View.